Apple updated its support page last night, adding a section that warns Apple Watch owners that the device’s heart-rate monitor, which uses green and infrared light, can be interfered with by irregular skin surfaces, such as tattoos. 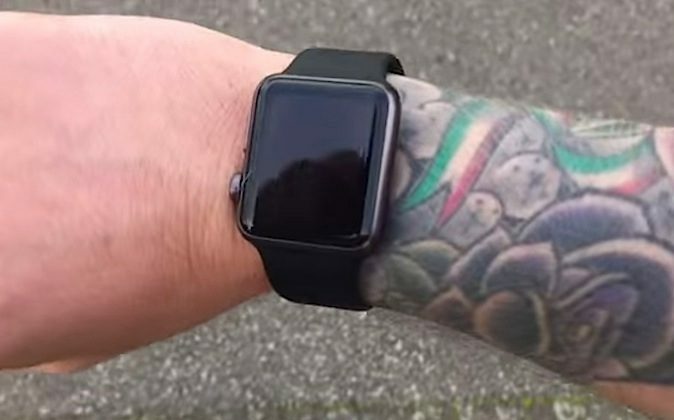 Apple made the admission a day after an Apple Watch customer posted a video—which later went viral—showing the device’s workout app repeatedly pausing when strapped onto his tattooed wrist. Apple recommends using an external heart monitor with Bluetooth as a substitute, and states that other functions like GPS can be used to track exercise progress. When the Apple Watch was first released, some observers questioned whether the heart-rate monitor would work for people with darker colored skin—the company’s top executives, who formed an early test group for the device, were all white, and in light of the recently discovered problem, probably none had their wrists inked. No issues have been reported by wearers with naturally darker skin.